Is Google Allo ready to take on Facebook Messenger? 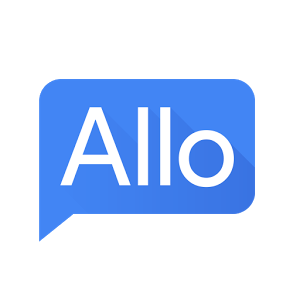 Facebook’s Messenger might finally have some competition, with Google introducing their new chat client, Allo, in the coming weeks. It works more or less like Messenger, at its core: users connect through an account (Gmail instead of Facebook) and chat using text and photos. The difference is in the details: Allo promises to have deeper possibilities for communication that will make it more fun to use than Messenger, and also more informative. Allo will learn how you write as you use it and offer appropriate responses to messages from your friends. It’s similar to the predictive text features of most modern smartphone keyboards — do you tend to reply with “haha” or “lol” to jokes, for instance — but it goes farther by generating complete sentences. It’s also being trained to recognize photos, so you might reply with “yum” to a photo of hamburgers (if that’s the way you roll, anyway). Sending images in chat isn’t terribly new, but Allo has it, and will let users annotate images or draw on them, which can be a bit of fun during downtime. It also includes a stock of stickers, and though no GIF support is mentioned in Google’s announcement, it would be a real shock if there wasn’t some kind of support for animated images. Last but not least, users can change their font size on the fly with the “Whisper Shout” feature, allowing for added emphasis and text that’s a little livelier. Messenger has chat bots, programs that can respond to queries made by real people, but they’re all unique to the companies that built them. Hi Poncho and 1-800-Flowers are both distinct entities, so your questions about the weather and about flowers need to go to the right place. Allo aims to draw on Google’s massive database of information and allow users to pull from that live, in-chat. If your friend says they want to get Chinese food, you and your friend will see a button prompt to get information about Chinese restaurants in the area. Then you can both examine the list, pick one, get contact and address info and even reserve a table, if the restaurant supports it. It’s also good as an argument-ender, as you can ask the assistant to find information on the fly. Want to know who won the Super Bowl in 1984? It can tell you. Most importantly, you don’t have to leave the app or user another device to get the information. Google is banking on convenience as a way to bring in new users. They’re also happy to have more information that can target advertising and guide users toward websites and other media that they’re likely to enjoy. Privacy concerns are bound to arise, but probably receive similar treatment as Facebook’s data collection has in the past (irritation, followed by acceptance). Can Allo kill Facebook Messenger? Probably not, but it sounds cool enough to try out.